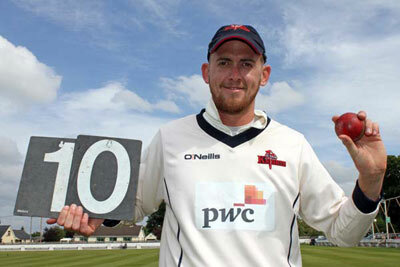 The 27 year-old enjoyed a prolific three seasons in the NCU with North Down and CIYMS between 2013 and 2015. In 49 matches he claimed 78 wickets at just 19.73, with his best haul of 5 for 12 coming for CIYMS against CSNI in 2015. It was at interprovincial level though where he really excelled, especially in the longer championship format. In ten games he took 43 wickets at 25.07, including the top two best figures in the competition history, 8-98 and 7-107 - both against the Warriors. Indeed he remains the only player to take 10 wickets in a match since the competition was re-introduced back in 2013. The return of the slow left-armer will strengthen both his club and province, with the Irish passport holder keen to press his claims for international recognition. While he was unable to impress Phil Simmons sufficiently, he may find fellow countryman Graham Ford more receptive to his talents. There's no doubt the lure of first-class and indeed Test cricket was a powerful draw in his decision to try his chances once more in Ireland.